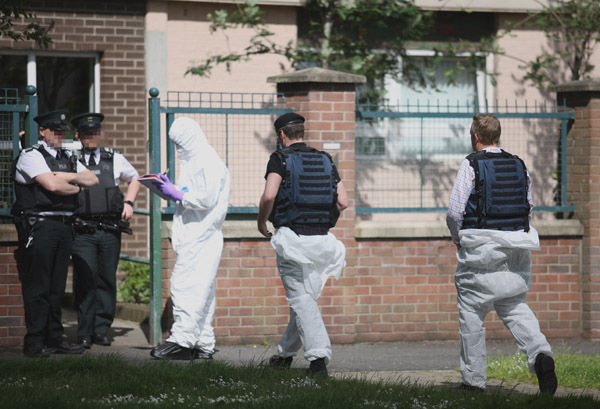 ONE and a half kilograms of what is believed to be Semtex plastic explosive have been found at a block of flats in North Belfast. Police said it was discovered at Maeve House in the New Lodge area on Monday afternoon after a report from a member of the public. Army bomb disposal experts were called to the scene and the suspected explosives taken away. The explosives are said to be enough to make three under-car booby-trap bombs. Detective Inspector Stuart Griffin said considerable inconvenience had been caused to residents and he thanked them for their co-operation. “Thankfully these suspected explosives are no longer in the public domain,” he added. Local Sinn Féin Councillor JJ Magee welcomed the find. “I welcome the fact that these explosives have been made safe and I hope the area can now return to normal following the disruption of the security alert,” he said. Deputy First Minister Martin McGuinness said he was “hugely relieved and delighted that these explosives have been recovered and made safe”.